Hello again! I'm sorry for my long abscence. We just returned from my very first vacation to Mexico! We had planned way back in February. It was certainly much needed! Now I'm back and catching up at home and work. So without further ado, here's my Craftin Desert Digi DT card! 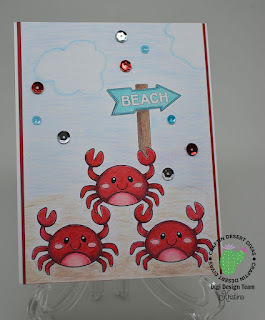 I simply adore these crabs! They look like they are ready for a fun time at the beach! I colored everything with Prismacolor pencils. The crabs I used odorless mineral spirits on to make the colors blend together more. I intentionally made the back ground lighter as I wanted the crabs to take the spotlight! I added a very narrow red border to make them pop out and attached to a white card base. 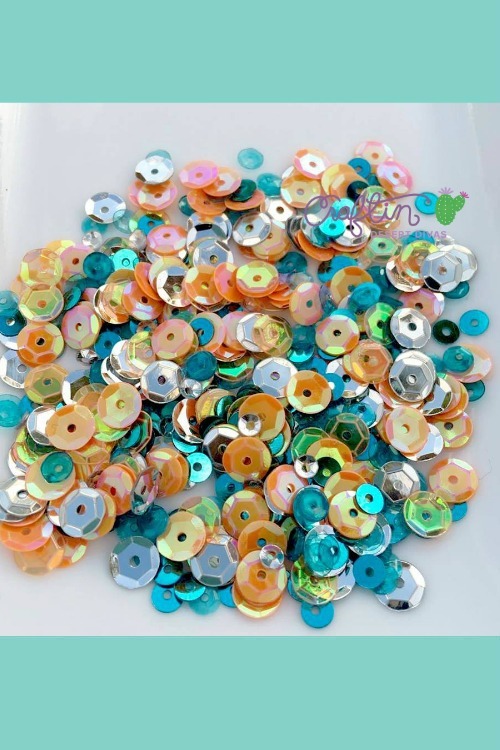 I even found ther perfect sequins to add a little more pizzaz! This month's digi challenge is "Beach". It's certainly a perfect theme for this time of the year. 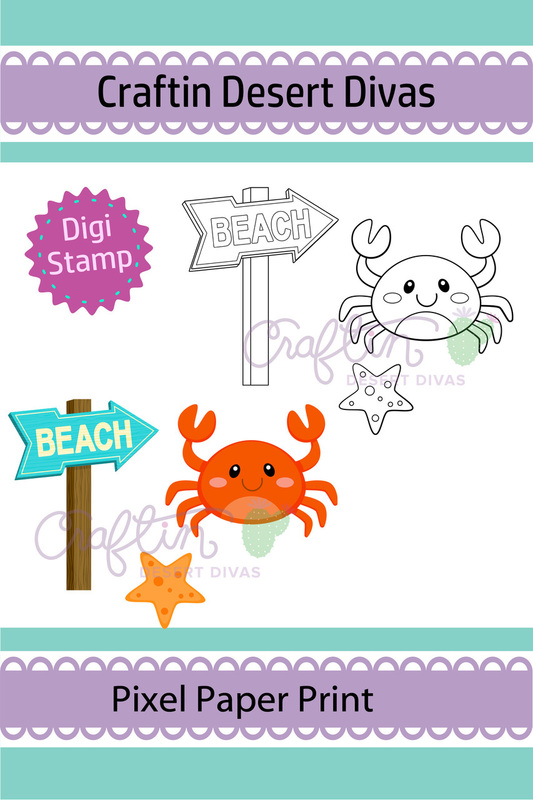 Not to mention everyone gets a free digi stamp just for playing along. Give it a go! 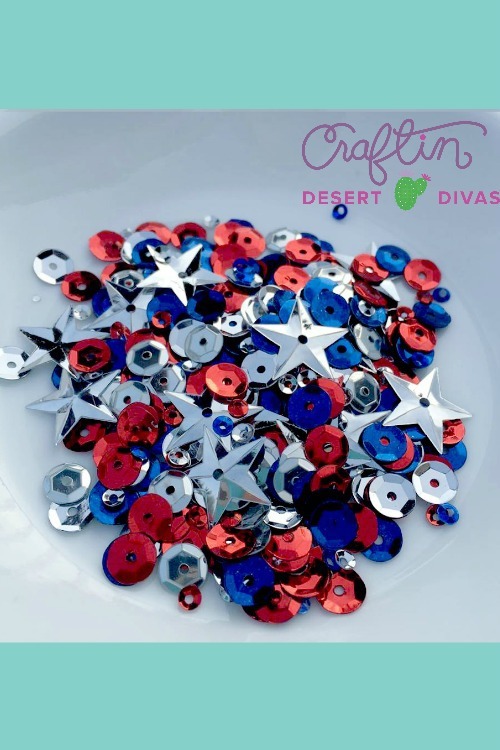 Craftin Desert Diva's has some great summer and beach digi's to choose from. Thank you very much for sharing these helpful tips for arranging a perfect summer party. I think a beach venue is best for a summer party. Isn’t it? If, I ever arranged an outdoor summer party, I would go for one of beach party venues Chicago.